Go on this deeply emotional journey as Mother Bilby and save your beloved children…. 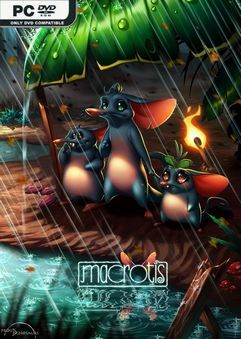 Go on this deeply emotional journey as Mother Bilby and save your beloved children who got separated from you because of a frightening flood caused by the never-ending rain. Climb, jump, and gnaw your way under the ground in Macrotis: A Mother’s Journey, a 2.5D puzzle-platformer. Clearly this is a game following the life of a typical jewish family. Just look at the nose, the ears, the beady eyes. Somewhere in the game is a love for money and a hidden hatred of non jews. Oh vey! Game is not smooth, screen scrolling is terrible.